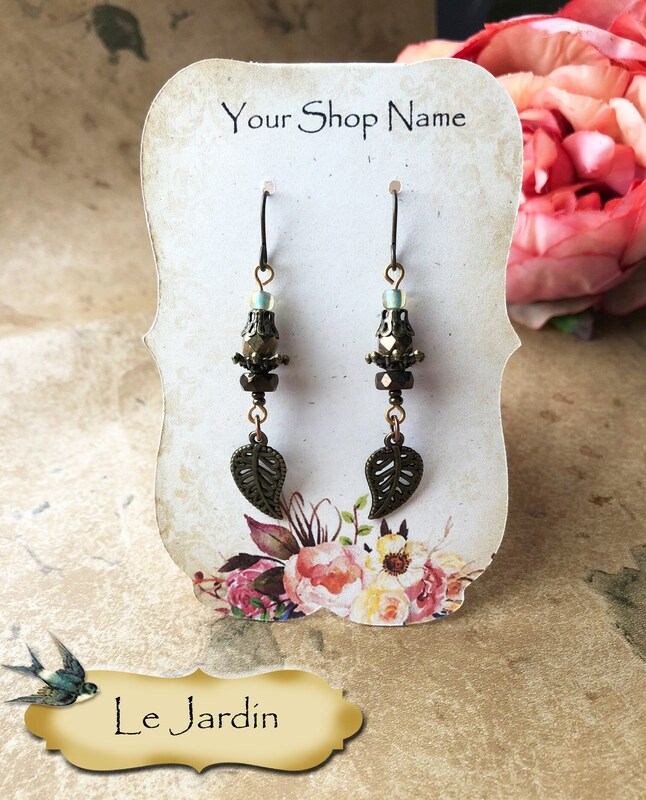 ☛Please read the whole listing. 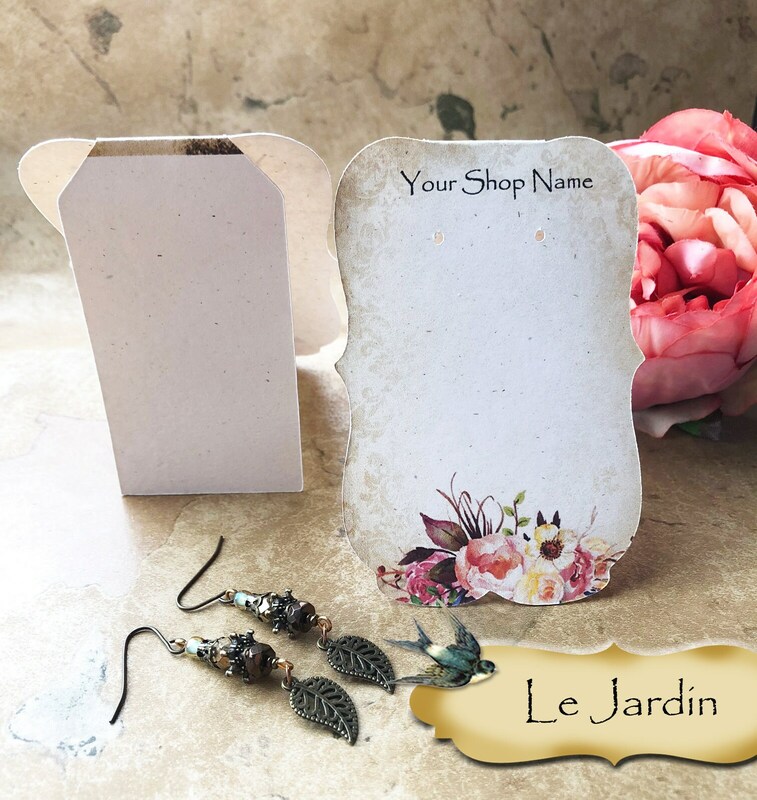 These curvy decorative earring cards are 2.5" x 3.5" with earring holes. 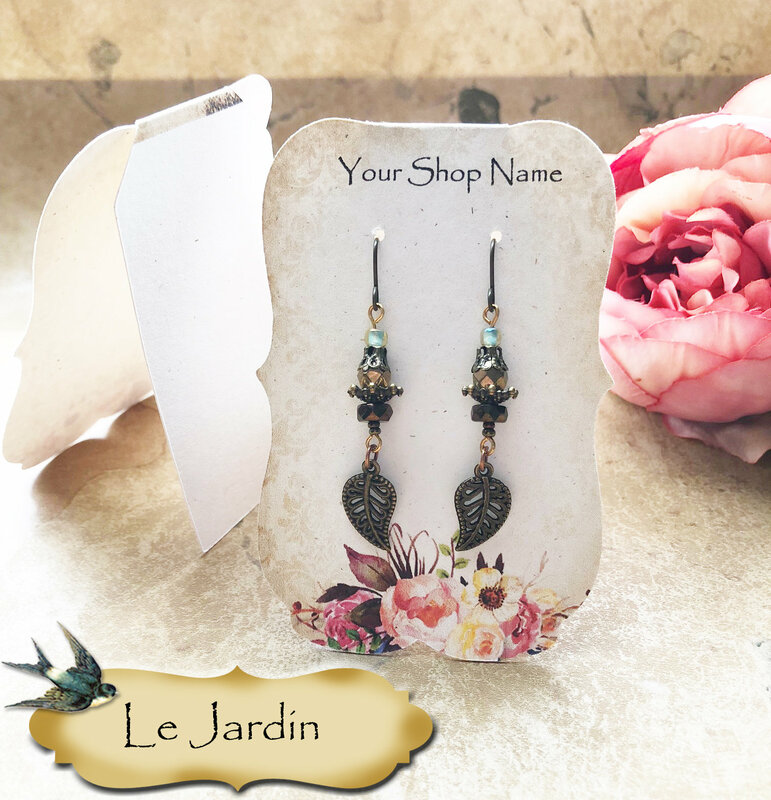 Perfect for long or short earrings. 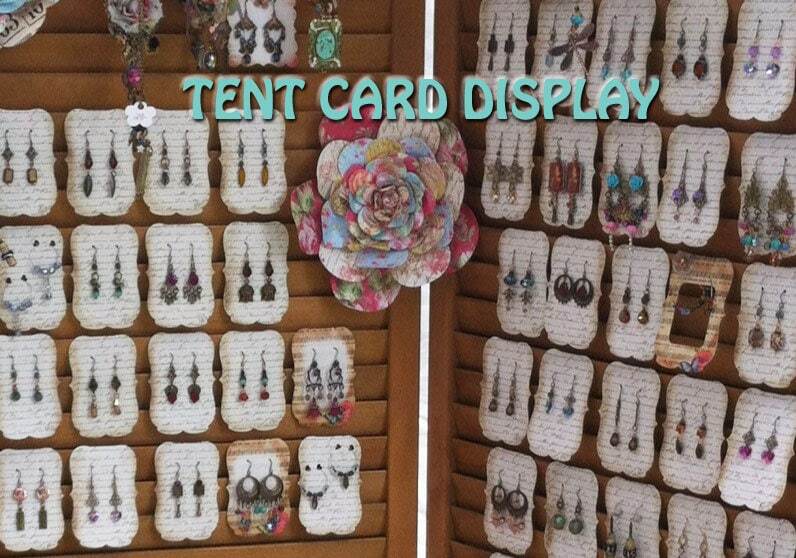 You will get 36 tent cards. 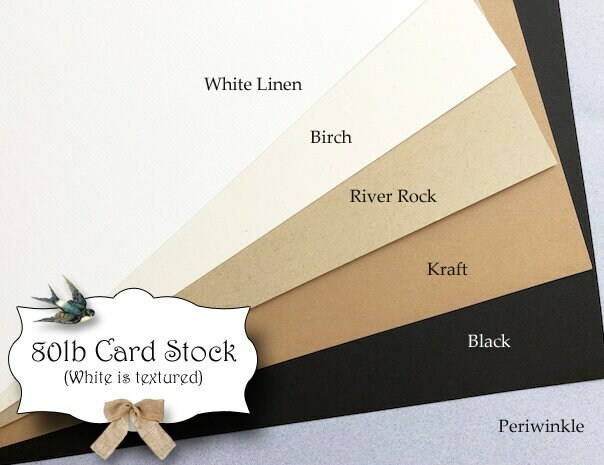 **Tent cards are best displayed on fabric to help prevent the card from slipping OR display these on shutter doors like the picture above. 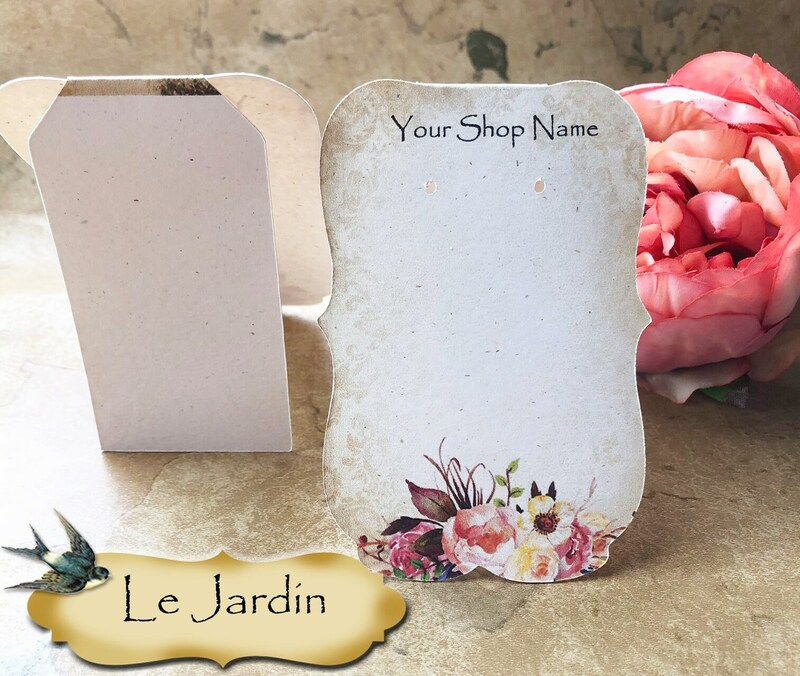 ♦This listing is for BLANK cards but any text, design or theme can be added by also adding the Logo Add On listing to your order.